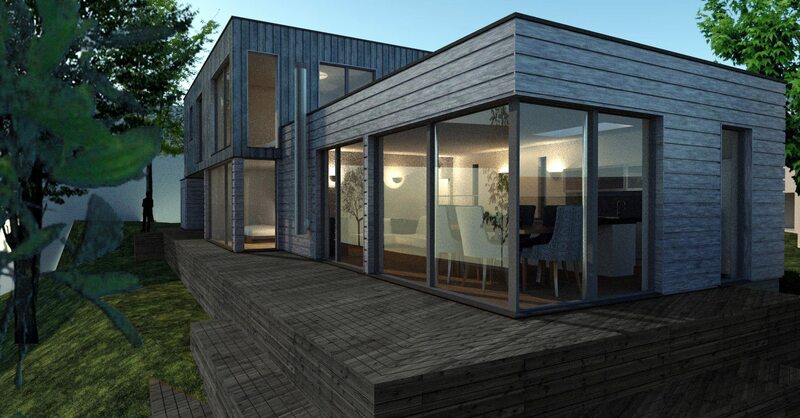 This new riverside property has been designed to sit on a brownfield site adjacent to two listed structures: a bridge and a house. The river elevation has large areas of glass to frame views across and up the river towards the attractive historical bridge. The entrance elevation is more subdued with smaller window openings to maintain privacy from a communal parking area. 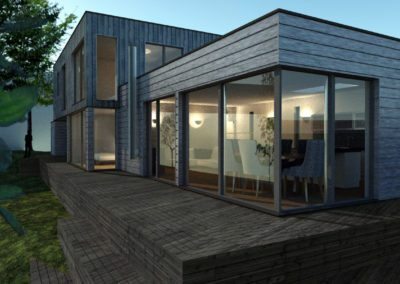 Scottish timber cladding and a green sedum roof add to the green credentials of the design whilst also rooting the building in the wooded riverside site. 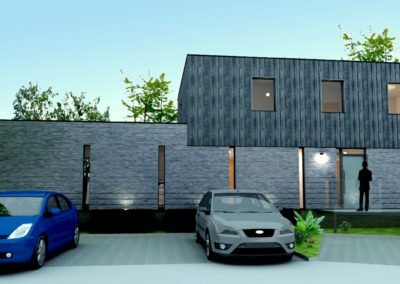 Due to the poor ground conditions, the property will be build on a series of mini-piles and surrounded with a decked walkway.